Capitalizing is especially tough, requiring a thorough finger stretch. Try it if you haven’t already. You will see what I mean. It’s kind of like trying to pick up a basketball with one hand. It is 1:30 in the morning. Lil’ Travis is currently asleep on my lap and is being supported by my left hand. I am typing this blog entry with my right. Some might call it multi-tasking. 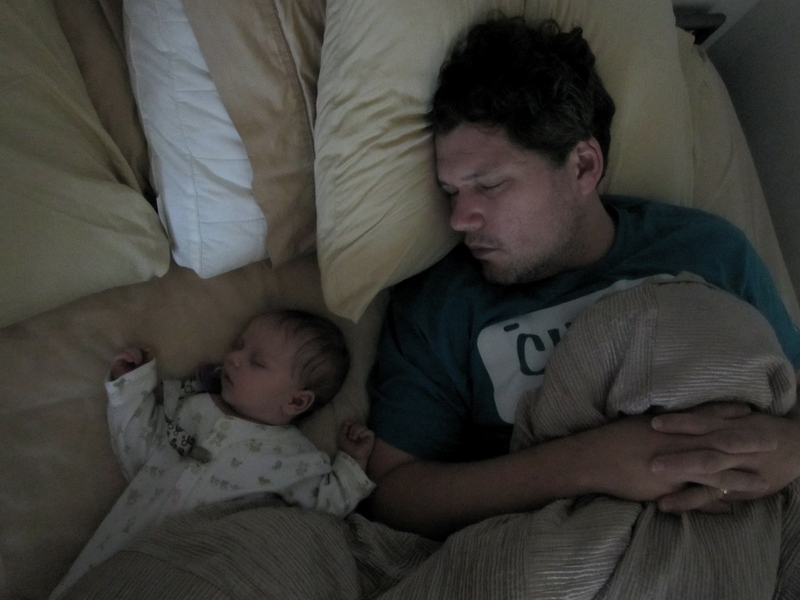 In this moment, it seems appropriate to upload the ubiquitous father/son sleeping photo.